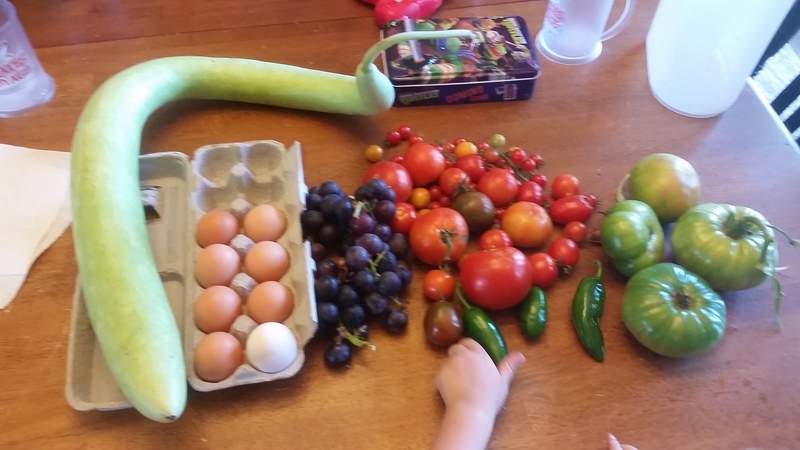 Yesterday, the boys and I collected eggs, squash, grapes, peppers and tomatoes…all in a single outing! 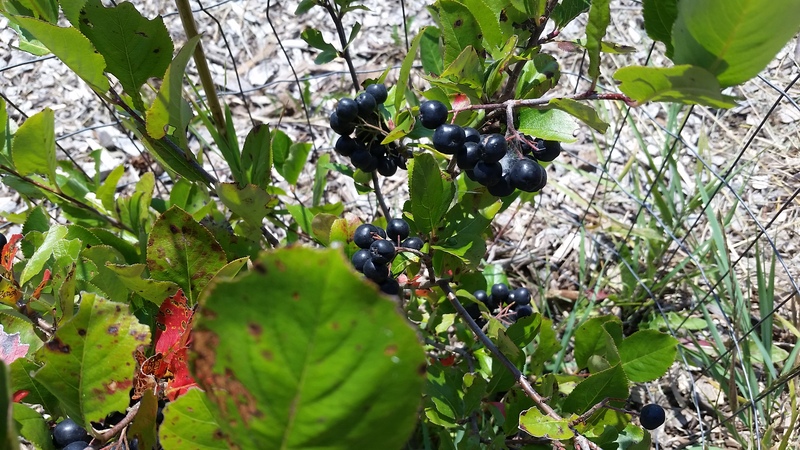 We also trekked out to the fegde to look for blackberries and aronia berries. 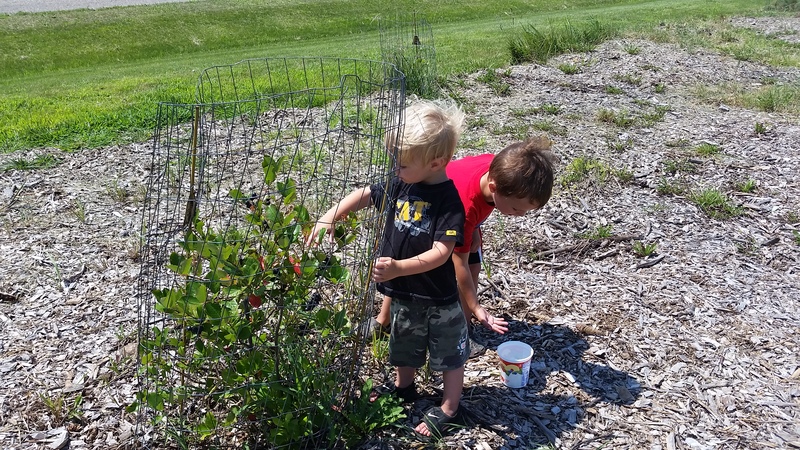 We found a handful of blackberries, which the boys promptly ate. I only got one and that was with some bribery negotiating. 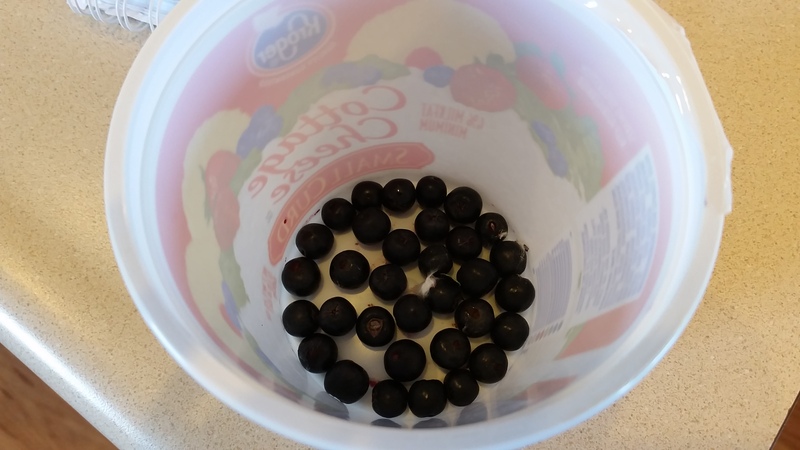 The boys pulled a bunch of aronia berries. They ate just as many. I’m not sure how they can stand eating them out of hand. I much prefer them with a bit of orange juice or in a smoothie with a touch of honey. It cuts the bitter and brings out the flavor. Not the boys. They pop them in their mouth, getting dark purple juice all over their chins. We came away with a small cluster. The boys wanted to save them for Daddy to “make him feel better”. They are full of antioxidants, vitamin C, fiber and other nutrients and are a powerful cold fighter.